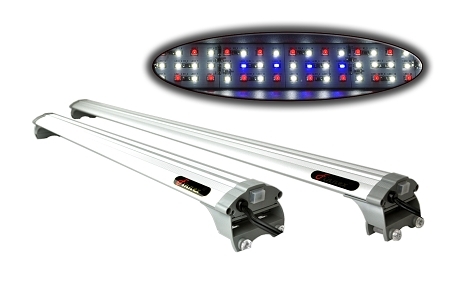 Differentiating itself from the original Finnex FugeRAY LED, the Planted+ series offers true 660nm red LEDs. Unlike competing LED fixtures offering a cheaper and mass produced labeled 'RED' LED, the Finnex Planted+ has incorporated TRUE 660nm RED LEDs- which studies have found to be one of the most efficient wavelengths for plant photosynthesis. 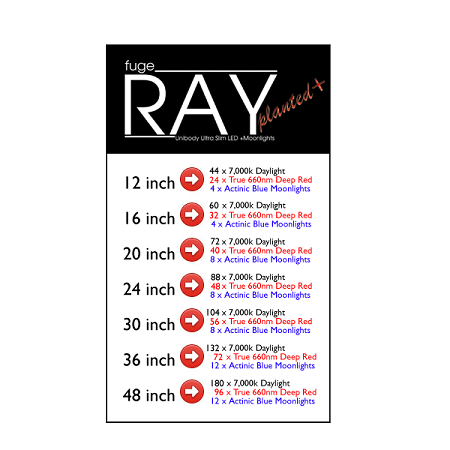 The true 660nm red LEDs also offer a warmer tone throughout one's aquarium. Such as the Original Finnex FugeRAY LED, the FugeRAY Planted+ also has the blue LED moonlight feature.